What is Ethereum?To study the essentials of Ethereum, it is very important to know what Ethereum is. It is basically a computing platform which features smart scripting or smart contract functionality, whose distribution is based on the blockchain concept and is a source open to the public. The main functionality is related to the facilities of the online contractual agreements. Making use of the nodes which are public and based on networking at international level, the Ethereum Virtual Machine (EVM) generally executes the scripts. The concept of this Ethereum was first proposed in the late quarters of 2013 which was followed by the initial release which took place on 30th July 2015. The working of this concept of Ethereum is based on the operating systems placed by Linux, Mac, Windows, POSIX, and Raspbian. Though the official release of Ethereum holds on 30th July 2015, there was a previous version which was released in May 2015. Till date, there have been 5 versions of Ethereum which are announced, amongst which, versions 0 and 1 are considered to be the old versions and are probably gone out of support, version 2 is considered to be the latest version running and versions 3 and 4 are yet to be released. The version 0 was named Olympic and launched in May 2015. The version 1 was named Frontier and released on 30th July 2015. The version 2 was named Homestead and released on 14th March 2016. The version 3 is named Metropolis and the version 4 is named Serenity which is considered to be the future releases of Ethereum and their corresponding release dates are yet to be announced. The use of Ethereum is very important to cope up with this fast developing world. This is the reason why the manufacturers have laid their concern of the features of Ethereum. The manufacturers seem to understand the need of the common people and hence powered this beautiful application with the following mentioned features to make it one of the most powerful in its field of use. 1.The blockchain based platform on which Ethereum runs signifies that there is more to just “money” or currency expressed in digital form when it comes to Ethereum. Also backed up with the concept of decentralization, it becomes a very difficult and next to impossible for frauds or censorships to get their role in the job they do. In an all-together picture, this beautiful system is not only designed to be cost effective and act friendly on your wallet but also provides you with a stronger security than the contracts which are traditional for use. 2.One of the most attractive features of this system of Ethereum is the provision for designing and creating your own token, which is, of course, digital in nature and also makes them into use for assets, membership proofs, shares which are virtual and many more activities or to be precise, “aspects.” There are some predetermined rules laid down by the system, depending on which, you can choose to have either fixed the number of tokens that will be going into circulation or to fluctuate the number, but, should always be according to the norms of the rules which are predetermined. 3.Another positive aspect is the provision to raise the funds you need for the various different applications, as Ethereum provides this provisions for the developers. Thereby, elimination the need of a “Kick-start” and doing the job for you itself. Great applications or systems are always powered by great advantages and so is the case when it comes to Ethereum. Following are one of the biggest advantages you can expect out this beautiful system. 1.The use of turning language into the system based on the blockchain. This feature eliminates the involvement of the existence of different third parties by allowing the exchange of contracts which are complicated or simple. 2.Ethereum comes with the corporate clients as the backbone. The working with a number of companies of enterprise grades from sectors of healthcare to banking is being conducted by the Ethereum Enterprise Alliance (EEA). 3.The platform of Ethereum gives you not only a gist but a solid, planned and a very clear vision of where they want to find themselves in the next three to five years by following strictly some of the agendas and the rigors which make the company proud of who they are and what they do. This is a battle which is a hotshot and the biggest rivalry in its field. People generally get confused and hence the eagerness to know which one is better generally pops up in their mind. There are basically three points on which you can judge for yourself. 1.Speculation: Focusing on the speculative view, both Ethereum and Bitcoin has come across its own rise in the field. According to figures, Bitcoin might be less, but again, it exists for many years and has seen a steady gain in them. About Ethereum, they have gained a sudden rise in the past two years (almost), but it is yet to be seen whether they can hold on to their gain steadily over the years of existence. 2.Number of Coins: Hands down Bitcoin is scarcer than Ethereum in this consideration. The circulation of 21 million coins for Bitcoin is way less if compared to the 92 million coins in circulation for Ethereum. Though this factor has been overlooked at many places, it is an important point of consideration. 3.Technology: Bitcoin is the originators, and it is for them the others probably came into existence. Bitcoin has been serving for around 9 years and holds a more steady and strong technology when compared to the new entry of Ethereum. Bitcoin is the father of cryptocurrency. This was a case study and consists of some important factors of Ethereum. Hopefully, it helped you to learn more about Ethereum than zero or some pre-existing knowledge. It is also important you understand the battle between Ethereum and Bitcoin and hopefully it we were able to clear out everything is an easier approach. Ethereum is a platform of blockchain and cryptocurrency being smart in its contract functionality. It is a fundamental decentralized platform, mainly for the developers for building applications. It was invented in the year 2013 by Vitalik Buterin. Ethereum can be put to use in order to secure, codify, trade and decentralize about anything. For instance, Ethereum can be used in case of voting, financial exchanges, contracts, domain names, company governance, crowdfunding, intellectual property and the majority of the agreements. Ether is basically the currency that is used on the Ethereum platform. Anyone who needs to build or make use of the Ethereum platform, they will require ether. It is very similar to Bitcoin which can be traded over the web as well as mined. Many people tend to use the term Ethereum instead of Ether in order to refer currency, which makes it more confusing to get hold of the concept. About 60 million Ethers were produced for the contributors of the presale. About 12 million which accounts for more than 20% were produced for the development fund. Here, the majority of the ether went to the developers and contributors, and the remaining went to the Ethereum Foundation. 5 ethers were produced in every block which was approximately for 15 to 17 seconds. 2 to 3 ethers were at times sent to other miners if only they were able to get a solution. The founders of the Ethereum further state that Ether is not considered a currency as much as it is considered a “crypto-fuel,” which means it is stated to be a token of one essential use- to make payments on Ethereum platform. Therefore, it means that Ether cannot be used to purchase stuff online. Nevertheless, one can trade it and also use it for investing, hoping the price to go up. Since Ether is termed as less “mature” than Bitcoin, it is less appropriate for the non-technical people. For instance, one can easily download the official Ether wallet app straight away from Github, but that won’t serve them as a ‘user-friendly’ version. One can also make use of EthereumWallet and MyEtherWallet which comprise of a simpler interface, quite apt for the non-technical people. Ethereum Classic is another cryptocurrency that was made out of a disagreement regarding the original use of Ethereum to conduct business. The catalyst behind this split was a hacker who tried to find out a way to stealing $60m as per Ethereum coins. The Ethereum supporters claimed that the code should get altered along with the stolen coins being refunded. On the other hand, the Ethereum Classic supporters stated that “code is law” and whatever happened has happened. Thus, in reality, what had taken place is that ETC was the exact original Ethereum code whereas ETH got their code forked in order to create a new set of Ethereum. Therefore, two identical currencies being competitive were generated that comprised of two different rates of exchange. Currently, the price id ETH is higher as well as more used by people of the cyptocurrency community. If one already owns Bitcoins, they can transfer their cryptocoins to their BTC wallet in CEX.IO profile and get their Ethers purchased straight away. This is, therefore, very simple to use. But one must be sure of the fact that their ETH and BTC are both safe in the cryptocurrency cold storage. Generally, forgery is not faced here since it is comprised of the high-security standard. If one wants to purchase ETH for their local currency or USD, they can make use of their debit or credit card for the purchase. This is the easiest way, getting their Visa, virtual cards like NetSpend, Neteller, and Payoneer, MasterCard accepted. PCI DSS guarantees the safety and security of the user’s card information. One can also purchase Ether with their cash on the bank account. 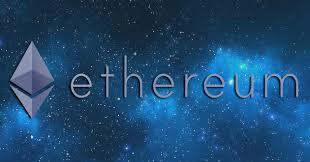 This is a simple as well as an advantageous way of purchasing, especially while purchasing a higher amount of Ether. Using SEPA is recommended so as to avail faster as well as cheaper deposits in Euros. One should keep their CEX.IO account updated in order to attain benefit from augmented payment opportunities, custom conditions, and priority support. 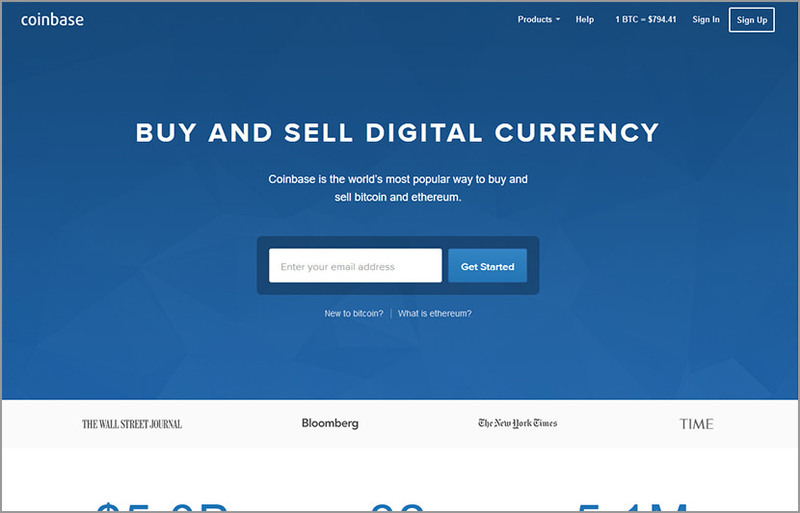 Buying Ethereum through Coinbase is considered as the cheapest and the most convenient way. ETH is sold by Coinbase for a fee of 1.49% to 3.99% solely depending on the method of your payment. For instance, credit card charges a higher fee than bank transfers. Firstly, one must sign up for a Coinbase account. This will provide you a safe and secure place to get all your Ethereum stored as well as provide easier payment methods for converting local currency, either into or out of digital currencies. After signing up for Coinbase account, one can connect their personal bank account, debit or credit card. For this, one needs to go through some verification steps before they can make use of their account. As soon as the verification procedure gets completed, one is ready to make their Ether purchases. Subsequent to one’s first ether purchase, Coinbase will complete their buying procedure, and further will deliver them accordingly. The Ether prices keep changing with time, Coinbase will keep you updated with the current exchange rate, thereby, making it easier for you to plan your purchases. Visiting the buying it selling page. The seller must be selected right at the top of the page. The currency should be set to Ethereum. Then the amount should be entered in ETH or a particular local currency which the seller wishes to put up for sale. The payout method is then to be chosen. Finally, the order needs to be confirmed, further clicking the “Sell Ethereum” button. The menu icon right at the top left of the screen needs to be clicked in order to get the Navbar opened. Then the Sell option should be selected from the Navbar. The currency then needs to be set to Ethereum. The amount must be entered in ETH or any local currency. Selection of payout method needs to be done. Finally, the order can be reviewed and then sold. Therefore, purchasing and selling Ethereum can be easily done with the users’ desired payment method. Most of the methods are convenient and user-friendly, allowing the buyer or seller to experience easy and secured transactions. 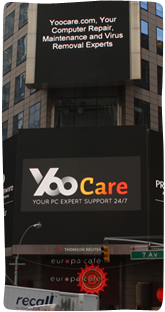 Tips: If you still don’t know What is Ethereum and have any questions regarding the Ethereum, you can live chat with YooCare online expert for inquiry.